Segunda mano. En perfectas condiciones. Incluye caja marrón. 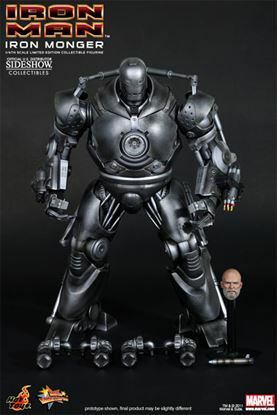 **Prototype shown, final product may be slightly different - Authentic and detailed fully realized likeness of Iron Monger, featuring the likeness of Jeff Bridges as Obadiah Stane in the Iron Man movie - Approximately 17.5 inches / 44 cm tall - Over 60 points of articulations - Specially painted armor with steel feeling - One (1) pair of palms with improved articulations, movable fingers and light-up repulsors (white light, battery operated) - LED-lighted eyes and micro ARC reactor (white light, battery operated) - Chest can be opened for revealing the Obadiah Stane’s head sculpt Weapons: - One (1) rotatable machine gun on right arm with LED-light - One (1) mini-rocket launchers on left arm with LED-light - One (1) cannon launcher on left shoulder Accessories: - Two (2) pairs of boot jets attachable to the back of armor on left and right legs for Flying Mode Artists: - Head Sculpted by Kojun - Head Painted by JC. Hong - Head Art Directed by JC. 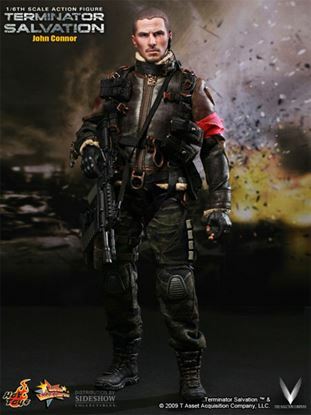 Hong **Battery included for collectible figure, button cells (a total of 9 pieces) are required **The figure body cannot be taken out from the armor Release date: Q2, 2012 ¡¡ÚNICA UNIDAD!! Segunda mano. Perfecto estado. Con caja marrón. ¡¡Única Unidad! !